Right ventricular hypertrophy or RVH means the right side of the heart is enlarged. It can be a serious condition, so a clear understanding of the causes, symptoms, and potential treatment options is important. When a person suffers from right ventricular hypertrophy, the right ventricle, which is the lower chamber of the heart, dilutes itself. This means that it becomes weaker. Right ventricular hypertrophy or RVH is considered a rare disease of the heart, while left ventricular hypertrophy is more common. There are four primary right ventricular hypertrophy causes. The most common is pulmonary hypertension, which is a condition where blood pressure increases in the pulmonary artery. This can lead to a variety of symptoms, including dizziness and shortness of breath. However, it often develops slowly without any signs, so people can go many years without even realizing they have PVH. It is important to understand that it can be a life-threatening condition and that it is not the same as having regular high blood pressure. Although we don’t have exact statistics, we do know that hundreds of thousands of people in the United States suffer from pulmonary hypertension. About 200,000 hospitalizations occur in the U.S every year due to PVH. Below we describe three other causes of right ventricular hypertrophy. Tetralogy of Fallot: This is a congenital heart disease that appears during birth and extends into the first year of life. It is a problem with the heart’s structure, which changes the normal flow of blood through the heart. Tetralogy of Fallot is a rare and complicated heart defect that occurs in about five out of every 10,000 babies. It occurs in boys and girls equally. Pulmonary valve stenosis: This is a condition that causes abnormality in the flow of blood from the right chamber going into the pulmonic valve. It leads to a reduced amount of blood getting to the lungs. Sometimes this condition can be mild and not require any medical intervention, but there are some situations that are moderate or severe and need treatment with medications or even surgery. Ventricular septal defect: A hole between your heart’s lower chambers is called a ventricular septal defect. This can happen anywhere in the muscle dividing the two sides of the heart. Small holes often close without any treatment and don’t cause any long-lasting effects. Larger holes that do not close on their own can normally be repaired with an operation. VSDs are one of the most common congenital birth defects. What are the symptoms of right ventricular hypertrophy? In more severe cases, right ventricular hypertrophy symptoms are noticeable and can be both uncomfortable and frightening. While each individual’s experience may be slightly different, there are some common signs of right ventricular hypertrophy. If a person is suffering from right ventricular hypertrophy, they can experience some or all of the above symptoms at different times. Right ventricular hypertrophy treatment will be decided once a diagnosis and cause is confirmed. The diagnosis usually begins with a physical exam as well as an open discussion with the doctor. Sometimes, just a physical examination can detect if a person has an enlarged heart. If the heart is not functioning properly, it makes sounds that are detectable with the doctor’s stethoscope. Getting a full medical history from the patient can also be very helpful since some heart problems can be inherited. If there is a family history of heart disease, it can put a person at a higher risk of developing RVH. An x-ray of the chest or an electrocardiogram can show the extent of heart enlargement. Sometimes the ECG is done twice to ensure an accurate reading was taken. Some doctors believe the best way to detect right ventricular hypertrophy is through an echocardiogram. This is a test that uses ultrasound on the heart to take precise measurements of the thickness and size of the heart muscles. Treatment for right ventricular hypertrophy can include prescription medications such as ACE inhibitors, beta-blockers, and diuretics. These address the symptoms of the condition. For example, beta-blockers are often suggested to help control blood pressure levels, while diuretics are used to remove excess fluid from the body. There may be other medications that the doctor recommends based on the specific cause of your RVH. There are also implantable devices, including pacemakers and defibrillators, that can be used to help regulate heartbeat. 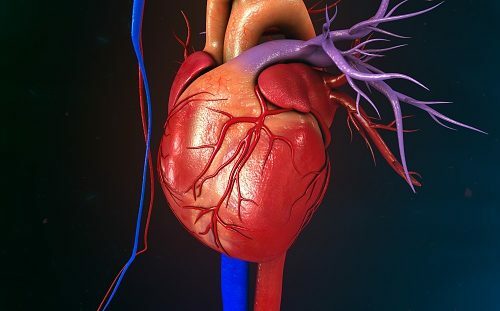 While it is true that right ventricular hypertrophy can be life threatening, there are literally thousands of people with the condition that are living a relatively normal life. Since pulmonary hypertension is the most common cause of RVH, many cardiac specialists focus on getting the word out about lifestyle and self-management. While medical interventions can’t cure pulmonary hypertension, lifestyle adjustments can help improve the condition.